It’s not important to have many friends. What is important is to have real ones. What is “Friendship”, to make friends? Maybe. For the rest of my life, maybe I never find the real friendship. I’ve been trying many ways, with full heart, love my friend and try to be there always. But in this world, to be loved back, it’s magic. Sometimes even we treat them very well, we loved them very much, doesn’t means they loved us as well as we loved them, right? Friendship with same gender, if they in the same line, there will be a competition. Friendship, sometimes only good things to be said but sometimes That’s not true. Do you know this phrase? This is not happen only to me, but many people too. I remember this when I watch SBS currently Airing Drama “Lie To Me“, there are “My Best Friend is My Best Rival” kind of Friendship there, between Ah Jung and So Ran. That kind of Friendship is True! And it’s really happen in real life. I have one best friend, maybe not really best, but the closed one. And she was my best rival too. It’s happen when we still in high school, she always see me as her rival maybe. At first I didn’t realize it. She always told me that she didn’t study when it comes to an exam,”what? Study? Oh come on?” which makes me relieves, because “oh, there’s another person who doesn’t study”, and I low my guard (this is part of myself too, I’m quite lazy lol), when she told me to not study, I’m not study. And then on the exam day, she ignored to cheat with me, I was like a fool, she pretend as she didn’t hear me, and when the exam results are up, she got the jackpot, and I’m down to hell. I’m not her best friend, but her best rival. Jewellaries like having this rings necklace earrings, and so on. I know this is childishness but She always see me as her rival, till the point I’m sick and I throw a distance. I’m tired… I’m looking for a friend… Not a rival. But even as a rival too, friends are friends, we have spend many good times together too, shared about what we thought, same hobby, talking heart to heart. Friendship normally is a fine thing. As if a light, there will be a shadow. 1. The positive one is, you had a goal. Makes you want to do more, and makes you to be hard worker, because you really wants to beat up your rival. 2. The negative one is, you never feel enough because you keep comparing yourself to another. Well… Life is never enough. Friendship with different gender, there are possibility to have a delusion. Maybe some of you ever experience it, hybrid friendship, a guy and a girl friendship. At first, maybe it’s really started with a pure friendship, but as time goes by, it doesn’t mean anything wouldn’t grow, you perfectly know what I mean right? It’s Love! It doesn’t mean there’s no perfect friendship in relation between guy and girl. It’s possible! But there are other probability too. Delusion I means here is the situation where someone got a wrong feeling, maybe the guy being care over a pure 100% friendship, where the girl, got a delusion that she’s being loved by the guy. That’s why sometimes, you don’t need to be too nice with someone lol. Sorry if I’m taking an example with a “girl” since “woman” is the one who always get delusion, sometimes happen to “man” also. A Best Friend isn’t something forever. She might be your Best Friend when you’re in elementary school, but now, she’s only acquaintance. He might be your Best Friend when you’re in High School, but now, he’s only acquaintance. Something I got from this is, not only electronic need to be maintain, but friendship too. 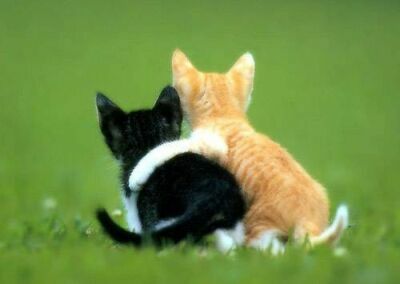 If you didn’t maintain your Friendship, maybe you will be an acquaintance in the future! Having 100 friends now, doesn’t mean you will have 100 friends in the next 10 years. How to maintain your friendship? Keep in touch! That’s it! This is not something you only do with your lover. A call /chat is needed in Friendship and Family too. To keep the bond become stronger. Yeah, hang out with friends! This is not only to keep the bond to be stronger, but also you can have fun, so you’re not stressed out. Like going to a concert with friends, having BBQ time, eye shopping together, or just having an evening tea.